PRICED TO SELL!!!! 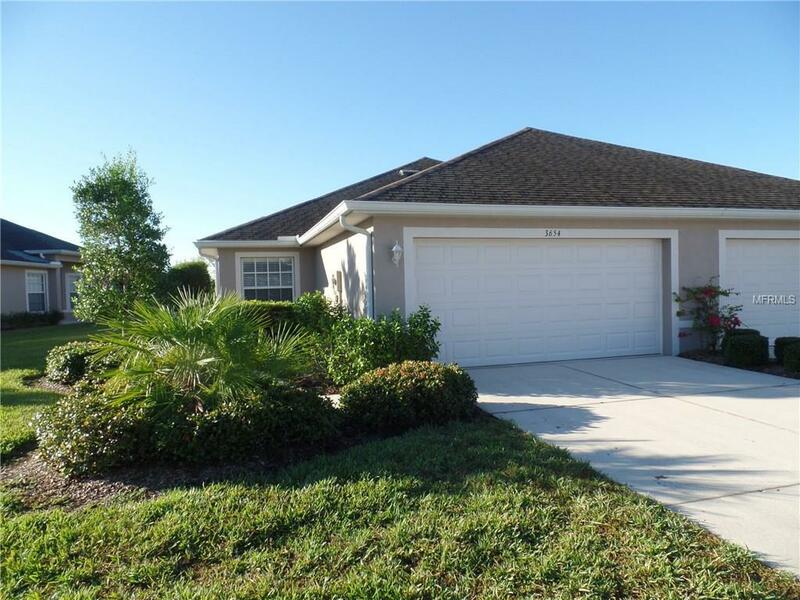 Desirable 2 bedroom, 2 bath villa with den/office and 2 car garage in the gated community of The Villas of Sabal Trace, Phase 2. Large open kitchen, dining room and living room with cathedral ceilings all opening onto the screened covered lanai and a fully extended screened lanai. All perfect for entertaining or just enjoying the relaxing Florida lifestyle. Master bedroom that opens onto the lanai has a walk-in and a single closet with master bath. The master bath has a double sink vanity and roman shower. The split second bedroom and bath is great for guest and privacy. The kitchen has a breakfast bar, closet pantry, wood cabinets with slide our shelves, all waiting for the chef in the family. The community has a clubhouse with fitness room, heated pool and spacious sundeck. All within a short drive to shopping, restaurants, golf courses, area beaches and local attractions. Additional Lease Restrictions Submit Application To Hoa. Pet Restrictions Two Pets Non Aggressive Breed.